Coach Travel Milan should be the best preference to hire when visiting the city of Milan. You can inform your group about how Milan after the Second World War developed to a flourishing international business capital. Essentially, Milan city is actually more about the lifestyle of appreciating sophisticated pleasures: bliss for shopping, professional football, great opera, and vibrant nightlife. Milan is well established as the showcase for Italian fashion – with fashionistas, droves of supermodels and most of international paparazzi arrive in the city each spring and autumn fairs every year. We should never forget the rich heritage of the city, ever since with more than 26 centuries of historical evolvement. 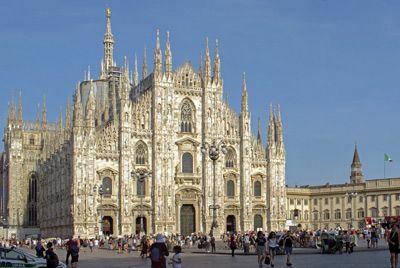 Coach travel Milan will show you interesting points like; Pinacoteca di Brera Museum, Bagatti Valsecchi Museum, The Duomo, La Scala Theatre, Palazzo Clerici, Palazzo Litta, Palazzo Sormani, Galleria Vittorio Emanuele, Via Montenapoleone, Corso di Porta Venezia, Corso Buenos Aires, and for a night out go to Corso Como street. By hiring coach travel Milan your group will have a trip of a life time.